In his writing Herodotus provides detailed descriptions of six of the wonders, with only a vague mention of the Hanging Gardens of Babylon. 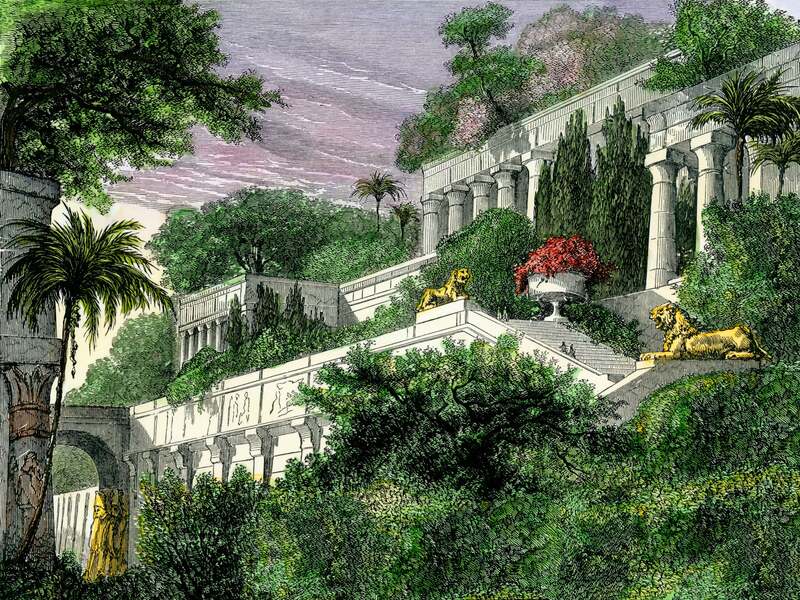 According to legend, the Hanging Gardens of Babylon were built by King Nebuchadnezzar II, for his wife Amytis. Amytis was a Persian woman of Media who longed to see the lush green mountains of her homelands again. Nebuchadnezzar had the gardens built with terraces and vegetation extending 50 cubits (roughly 79 feet) in the air. The terraces were supposedly arranged as stepped platforms, supported by a series of vaults and columns. It is also believed that the gardens were constructed in such a grandiose way to mirror the massive and large city walls of Babylon. The location of the Hanging Gardens of Babylon has always been under dispute. Some scholars argue that their very existence is an elaborate part of a fictional tale. This assumption is understandable, considering the archaeological evidence in Babylon (modern-day Iraq) was nothing short of nonexistent. In fact, Babylon has been played off as the site of the gardens for so long that the mythology eventually inspired tourists to visit the “ruins” themselves. As for the mythology, the marriage of King Nebuchadnezzar to Amytis, the princess of Medes was a political move. This unification would cement the alliance between the Babylonians and the Medians against their Assyrian rivals. So, it’s highly doubtful that Nebuchadnezzar would commission a beautiful garden to be built in the honor of a woman he shared only political ties with in order to strengthen his empire. Not only does evidence support that the location of the gardens could have possibly been misinterpreted, it also suggests that they weren’t created during the reign of Nebuchadnezzar after all. Berosus, a Babylonian priest, had access to all of the existing cuneiform script during Nebuchadnezzar’s time in power, which describes his achievements and plans in detail. In his written accounts describing the hundreds of texts, there is no mention of any gardens constructed during his reign. However, the ruins of King Sennacherib’s palace at Nineveh in Assyria revealed details of palace and garden that imitated the Amanus mountains. 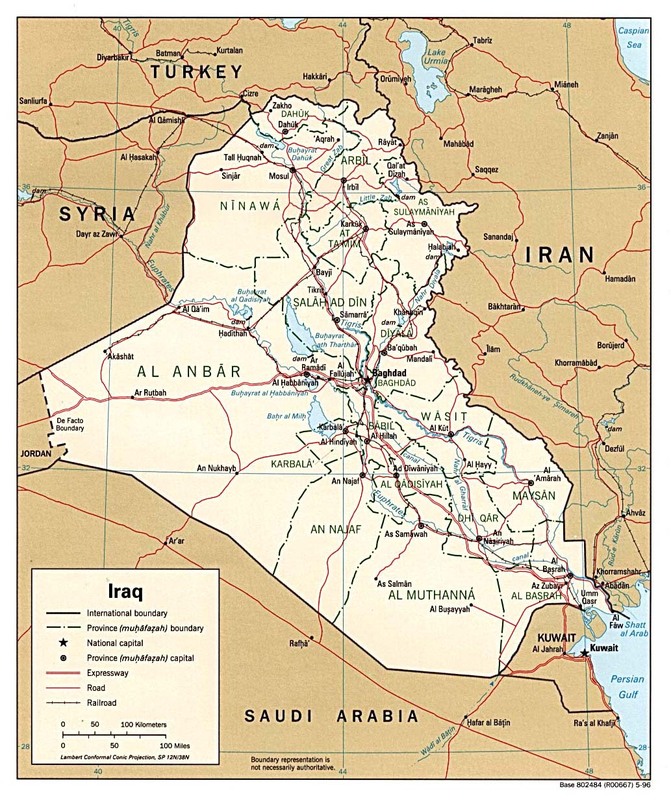 Located 300 miles north of Babylon, the city of Nineveh was the capital of the Assyrian empire. So, if Nineveh was on the opposite side of Iraq, how could the gardens be misnamed if they really weren’t in Babylon? Simple. The confusion is most likely due to the end of the Babylonian era in Mesopotamia. The Assyrians conquered Babylon in 689 BCE, and their pre-existing lands were referred to as “New Babylon.” Furthermore, in recent excavations around Nineveh, archaeologists have “uncovered evidence of an extensive aqueduct system that delivered water from the mountains” (Klein). Not only do the well-preserved written texts of Sennacherib point the unanswered questions of the Hanging Gardens of Babylon to Nineveh, the archaeological discoveries as well as the lack of logic behind the mythology all support that this wonder of the world was tragically misnamed. “Seven Wonders of the Ancient World.” History. Accessed on October 10, 2016. http://www.history.com/topics/ancient-history/seven-wonders-of-the-ancient-world. Dalley, Stephanie. “Secrets of the Dead The Lost Gardens of Babylon PBS Documentary.” YouTube, 55:45. Uploaded on January 30, 2015. http://www.youtube.com/watch?v=aJTWai6xKM4. Frost, Bob. “The Seven Wonders of the Ancient World.” History Access. Accessed on October 10, 2016. http://www.historyaccess.com/sevenwondersofth.html. Hernandez De La Fuente, David. “The Seven Wonders.” National Geographic History, April/May 2015. Klein, Christopher. “Hanging Gardens Existed, but not in Babylon.” History in the Headlines. Published on May 14, 2013. www.history.com/news/hanging-gardens-existed-but-not-in-bablyon. Seymour, Michael. “Classical Accounts.” In Babylon Myth and Reality, edited by I.L. Finkel and M.J. Seymour. London: The British Museum Press, 2008.